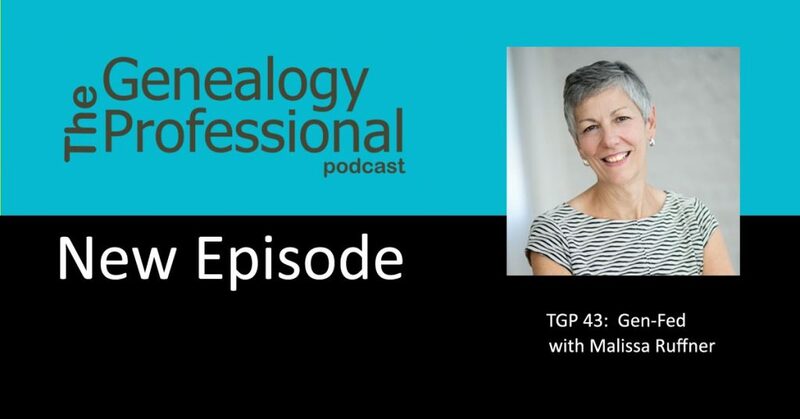 In this episode Malissa Ruffner discusses details of the Genealogical Institute on Federal Records (Gen-Fed), a five-day program focused on researching federal records. Gen-Fed was formerly known as the National Institute on Genealogical Research. According to Gen-Fed‘s website, “The Genealogical Institute on Federal Records (Gen-Fed) is held at the National Archives Building in Washington, D.C. (Archives I), headquarters of the National Archives and Records Administration (NARA), official repository of the permanently valuable records of the United States government. Federal records document a wide variety of interactions between ordinary citizens and the government—in some cases providing unique genealogical information, and in others, biographical and contextual detail that enriches understanding of our ancestors’ lives. Gen-Fed is designed to instill a methodological framework and foster creative thinking about relevant records—setting the stage for federal discovery. Geared towards experienced genealogists, archivists, historians and librarians, it is a unique opportunity to explore holdings unavailable elsewhere. The institute has been a leader in genealogical education since its founding in 1950 as a three-week comprehensive program. It has evolved throughout its history in response to growth in genealogical education, advances in record access, and changes in technology. Its trustees are representatives of the American Society of Genealogists, Association of Professional Genealogists, Board for Certification of Genealogists, Federation of Genealogical Societies,National Genealogical Society, and the institute’s alumni association. The National Archives, a non-voting member, provides strong support, on-site classrooms, and a welcoming atmosphere. Malissa Ruffner, a resident of Baltimore, Maryland, earned a Bachelor of Arts from Goucher College and a law degree and a Master of Library Science degree, both from the University of Maryland. In addition to genealogy, she has worked as a lawyer, and in schools, libraries and archives. 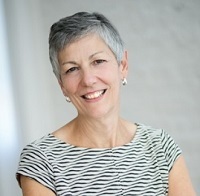 Her genealogical pursuits include client work, writing and blogging, lecturing, and participation in conferences and institutes, including NIGR, the Salt Lake Institute of Genealogy, the Institute of Genealogy and Historical Research at Samford University, the Genealogical Research Institute at Pittsburgh, Forensic Genealogy Institute, ProGen, and “Come Home to New England” at the New England Historic Genealogical Society. Malissa currently serves on the Maryland Genealogical Society Board of Directors and on the Intellectual Property Committee of the Board for Certification of Genealogy. Are you ready for Gen-Fed? What I would like you to do is to choose an archives or library in your local area that you’ve never been to before. Then spend some time exploring their online catalog and guidance resources. Try to get an overview of what records and resources they have available. Next, if possible, try to explore some specific genealogical searches and see if the archive has records that might help you in your research. If so, make a research plan and plan a visit. If not, see if you can plan a visit anyway and see if what you learned online about the archive matches what you discover in person. In Genealogy news, just a quick reminder that we are in the final week to register for the APG Professional Management Conference at the Early Bird rate. This episode is releasing on July 10th and you only have until July 15th 2016 to save money. I did a quick survey on my personal Facebook Wall about who has already registered and I was pleasantly surprised by how many people have signed up. You will be able to register after July 15th but you’ll pay full conference price. You can find more information out at www.apgen.org/conferences. If you’d like to become a supporter of the Genealogy Professional podcast head over to the website at www.thegenealogyprofessional.com and click on the supporter button. And of course, ratings and reviews in both iTunes and Stitcher are always welcome.